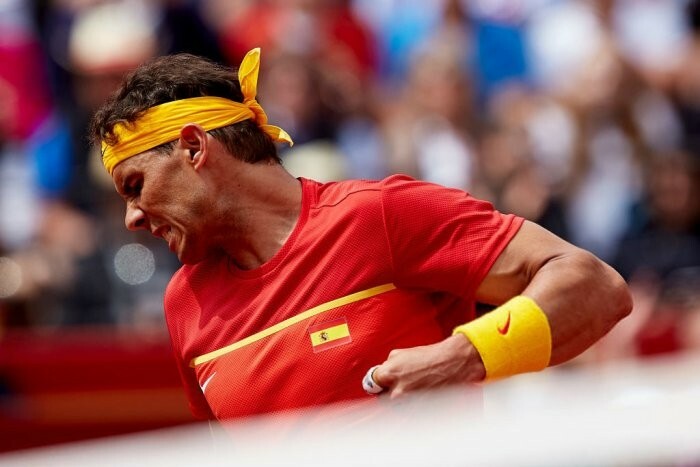 Rafael Nadal won his first singles match on his return to Davis Cup action with Spain on Friday. 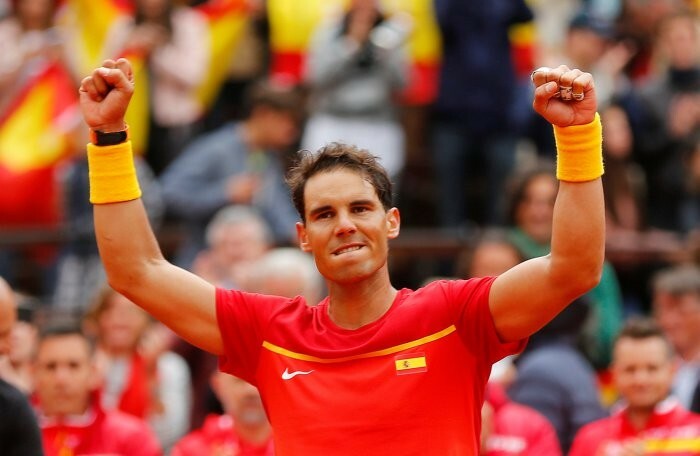 Nadal had not played for Spain since the tie against India two years ago, but was back to his vintage best as he claimed his 23rd singles victory in the competition with a 6-2, 6-2, 6-3 win over Philipp Kohlschreiber of Germany, Xinhua news agency reported. 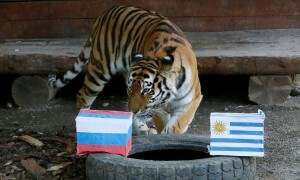 Spain ended the first day of their quarter-final tie against Germany 1-1 in Valencia. The Spanish number one, who is currently at the top of the ATP world rankings, was too powerful for his rival, especially on the clay. In the opening match, world number 4 Alexander Zverev upset the local favourite David Ferrer 6-4, 6-2, 6-2. Saturday sees the doubles duel and the two final singles are scheduled for Sunday.